"Pancho" Honored by the SCAA! , Florence "Pancho" Barnes was one of the most important women in 20th Century aviation. A tough and fearless aviatrix, Pancho was a rival of Amelia Earhart's who made a name for herself as Hollywood's first female stunt pilot. Just before WWII she opened a ranch near Edwards Air Force Base that became a famous -- some would say notorious -- hangout for test pilots and movie stars. Known as the "Happy Bottom Riding Club", it became the epicenter of the aviation world during the early jet age. Chuck Yeager celebrated breaking the sound barrier there in 1947, and Howard Hughes and Jimmy Doolittle caroused in the bar. The Club's destruction by fire in 1953 is seen by many to mark the end of a Golden Era in post-WWII aviation. In the same fashion Pancho herself has become something of a legend, a fascinating yet enigmatic icon whose swagger is often celebrated, but whose story has been largely unknown. Until now. "Pancho" Honored by the SCAA! It seemed absolutely fitting to give a presentation about the film the other day at the Flight Path Learning Center, located just south of LAX's newly improved runway 25R. As DC-10s and 747s landed and took off in the distance, Amanda Pope and I showed a portion of the "rough cut" of the film, and did a Q&A. An attentive audience gave us a terrific reception, and Shirley Hoffman of LAX gave us some beautiful parting gifts -- including a book about LAX's famous "theme restaurant." I had to comment to the audience, that Pancho had been a guest at the airport on opening day in 1930. Boy would she have been awed by how it, and the world of aviation, has been transformed. In Pancho's day, "Mine's Field" did not even offer passenger service -- it wouldn't until 1946. Now it is the fifth busiest airport in the world, and has over 20,000 parking spots! 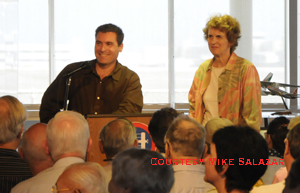 The reason Nissen was calling, was to inform Amanda and I that several board members of the SCAA were in attendance at the presentation. They loved what they saw, and quickly passed a resolution awarding a $2500 grant to the KOCE-TV Foundation in support of the film! 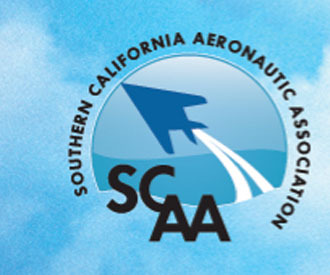 We feel truly honored to have the support of the SCAA, and its members. Thanks to one and all! Feeling blue because you couldn't make our presentation at Flight Path? Well, don't feel so bad. 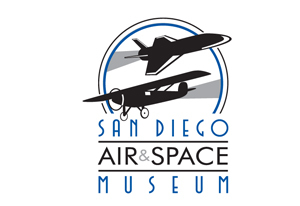 If you can make it to San Diego on September 18th, we're having a special fund raiser hosted by our friends at the world famous San Diego Air and Space Museum (SDASM link). Located in Balboa Park in the heart of the city, the Museum contains an astonishing array of historic aircraft, and is currently hosting "Star Trek The Exhibition". Details will be posted soon, so stay tuned!